With 84% world population recognition, Cristiano Ronaldo is the most recognizable athlete on the globe today and perhaps in world history. 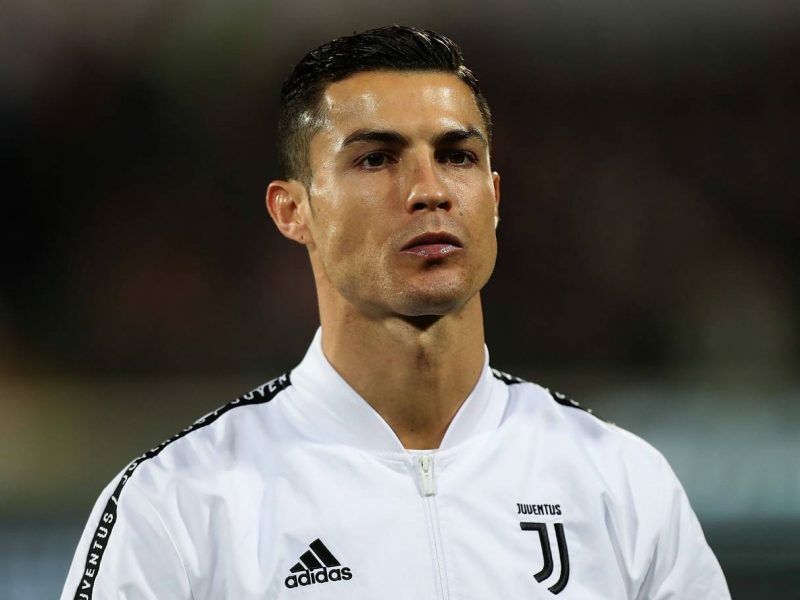 He is also arguably the best footballer in the world today with five Ballon d’Or awards, the most prestigious individual award in global sport. These are very impressive personal and professional achievements. Here is part two of CR7 – Facts, Figures and Trivia. Part one is here. Part three is here. 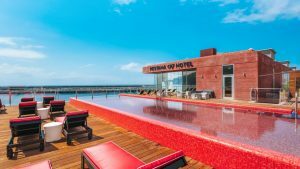 Cristiano Ronaldo has a hotel and a museum named after him in the Capital City of Funchal. In front of the CR7 museum stands a statue of the football player. That one resembles Cristiano Ronaldo much more than the first FNC bust (see Part one) however it bears a very noticeable bulge which makes for a popular photo spot in Funchal. Well whoever said that CR7 was humble? CR7 is the highest paid athlete. Furthermore, Cristiano Ronaldo is the 5th highest paid celebrity in the world according to Forbes. School was not his strength! Ronaldo admits that he was not a good student because he was not interested in school. Cristiano threw a chair at a teacher while in his teens. The school expelled him after this event. Story has it that the Cristiano Ronaldo felt a lack of respect from the teacher. 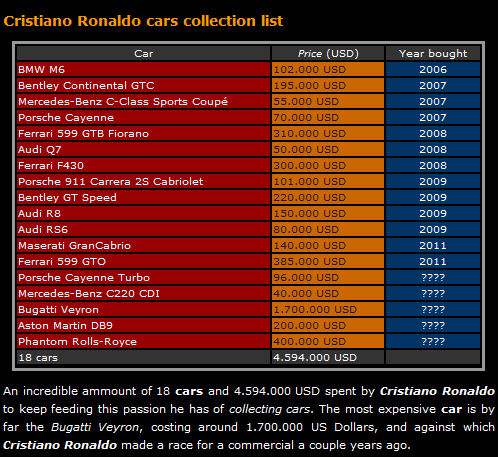 Cristiano Ronaldo owns around 20 cars worth a total well over 5 million EUR. 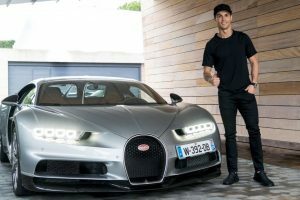 Hence, the cars in his collection include the following: a Bugatti Veyron, Lamborghini Aventador, Ferrari 599GTO, Ferrari La Ferrari, Rolls Royce Ghost, McLaren MP4 12C, Mercedes Benz S65 AMG Coupe, Bentley continental GT speed, Porsche 911 Turbo S, Aston Martin DB9, Maserati Grand Cabrio, Bentley Continental GTC, Audi R8, Ferrari 599 GTV and a Porsche 911 Carrera S Cabriolet.